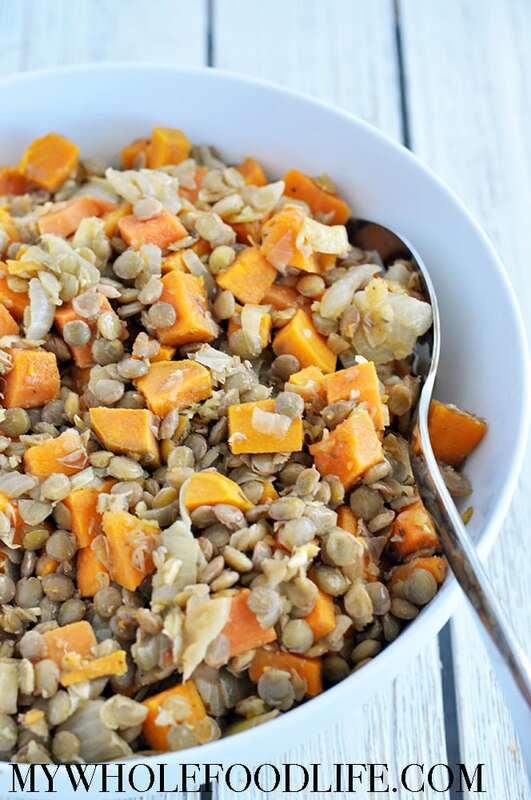 Sweet Potatoes Lentils Sage makes the perfect combo. This hearty fall dish is quick to make and budget friendly. We are still in the process of cooking out of our pantry and I had a lot of green lentils to use up. Since I have a delicious soup on my blog with sweet potatoes and green lentils, I knew these flavors would go great in a skillet dish too. We kept it simple for this recipe with a very small ingredient list. However, I think adding some spinach would have went great as well. This healthy dish is vegan and gluten free. Want to make this recipe" Watch the video below. For more videos, you can subscribe to my You Tube channel. The post Sweet Potatoes Lentils Sage (Vegan, Gluten Free) appeared first on My Whole Food Life.